In May, Alabama’s new home sales slipped 13. 2 percent from this same time last year. March showed a solid report but April and May sales just couldn’t keep the ball rolling. 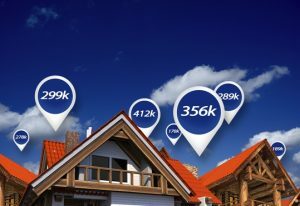 This is typically the primary home buying season so all eyes will be watching to see what happens throughout the rest of summer and what we can maybe expect for the market into fall, winter and the remainder of 2014. Despite sales being low to kick off the home buying season in Alabama, new construction inventory has been 5.7 % lower this May as compared to last May. However, Montgomery and Tuscaloosa metro areas have seen a double digit rise in inventory from last May of 11% and 19%. Median homes sales price for Alabama in May was $228, 927 which is 1.2% higher than last May but 1.1% below last month. A good and probable reason for the slowing of home sales in Alabama is probably the Alabama job market. No jobs ultimately means no people buying houses. Although Alabama home sales have slowed, US homes sales rose 18.6% in May according to the National Association of Home Builders. For 2012 and 2013, home sales in Alabama rose. Alabama home sales should rise again as jobs increase.